Mel took our fabulous 'cover' shot for posters and tickets, and also the cast headshots for the Little Voice programme. King Alfred's Head in Wantage have been great friends to us - rehearsals and pub quiz - they have always made us welcome. Pop in for a pint when you are passing! Click on picture to go to website. Best Western Sudbury House Hotel in Faringdon - We held our auditions and some of our rehearsals here - great team - fabulous place! Hunter Marshall very kindly sponsored 50 seats for The Rise and Fall of Little Voice to be made available to students from King Alfreds and Faringdon Community College - what fabulous support for both us and young people in the community. Click on logo to visit their website. 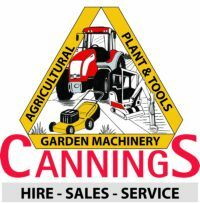 The fabulous folk at Cannings offered us the use of a cherry picker for 'Billy' to use in Little Voice; they even let us invade their yard so we could have press photos done in the cherry picker. Visit their website by clicking on their logo. The Music Room, Wantage very kindly donated all the LPs used on set and in the foyer.